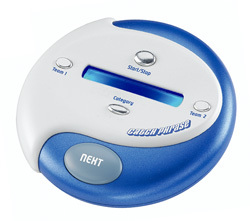 My friends and I very much enjoy your most terrifically fun game, electronic Catch Phrase. We have all the versions you make: regular, Catch Phrase Junior and Catch Phrase’s Music Edition. Unfortunately, this is still not enough Catch Phrase.